Is the solubility of silver (Ag) controlled by pH? I am going to use a tiny Ag in my system. Activity = 1E-10. Geochemistry Question: Is the solubility of Ag controlled by pH? 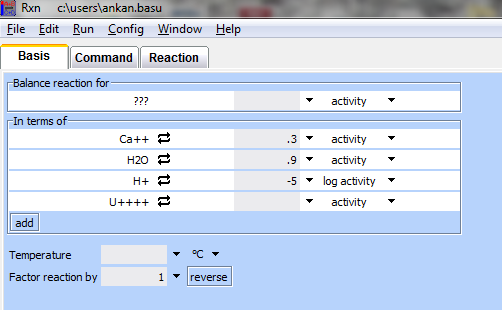 To solve the problem, let’s build a activity diagram for Ag with Geochemist’s Workbench. Conclusion: No, pH is not a controlling factor for the dissolution of metallic silver.